There may be a lot of buzz surrounding Natacha Ramsay-Levi's revamp of the Chloé girl, but the brand's hallmark bohemianism is still carrying through in its core styles. 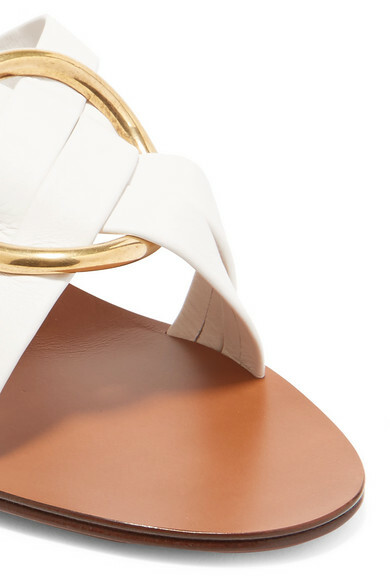 The soft leather straps on these Italian-made 'Rony' mules are topped with an iteration of the rings found across the label's coveted bag designs. 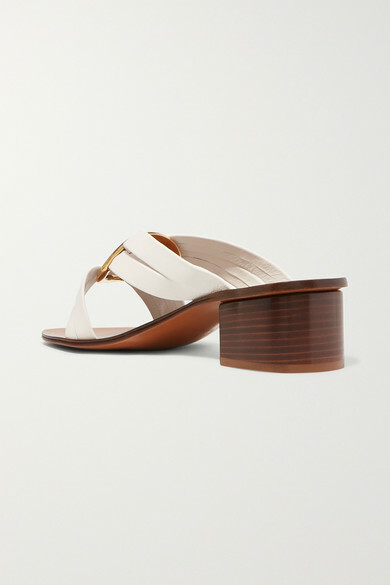 They sit on a comfortable wooden block heel that pairs well with everything from floaty dresses to cropped denim. 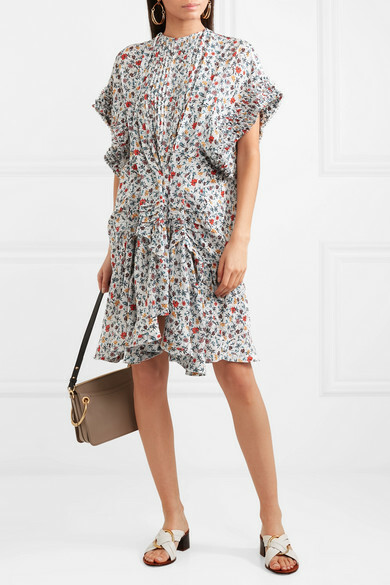 Shown here with: Chloé Dress, Chloé Shoulder bag, Chloé Earrings.